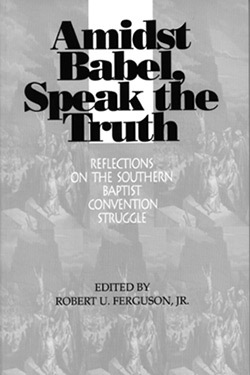 Stirred by the words of Martin Luther, "When amidst babble, speak the truth, " Ferguson urges: "Now that the battle for control of the Southern Baptist Convention is over, it is high time we moderates (as we prefer to be called) define ourselves. Though we have lost the war, we have not lost the right to speak out and be heard. Though we are disenfranchised, we are not powerless." 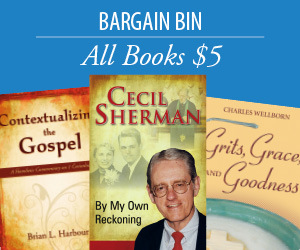 Here various persons "speak out" form diverse perspectives on a variety of subjects ranging from Baptist history to doctrine to ministry to proclamation. These are clear voices, speaking the truth about who free Baptist are in defiance of the lords of Babel who have brought confusion to the Baptist family and who would alter the identity of Baptists. Robert U. Ferguson, Jr., is the pastor of Emerywood Baptist Church in High Point, North Carolina. Previous pastorates include churches in South Carolina, Alabama and Kentucky. He is a graduate of Samford University and The Southern Baptist theological Seminary (M.Div. and Ph.D.).